Below you will find many Lamb, Rams, and Sheep Crafts projects, activities, and ideas for you and your children for Spring & Easter. Your kids will enjoy these arts and crafts projects with lamb and sheep. In order to make this foldable paper Ram craft, just get out your printer. Print out this printable Ram folding diagram. Then after you print this out, cut him out and fold on the dotted lines. 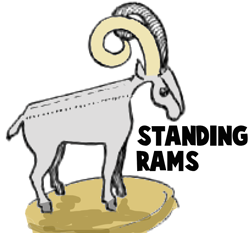 Then this fierce Ram should stand on his own. You can play with him as a paper toy or you can put him up on your mantle. 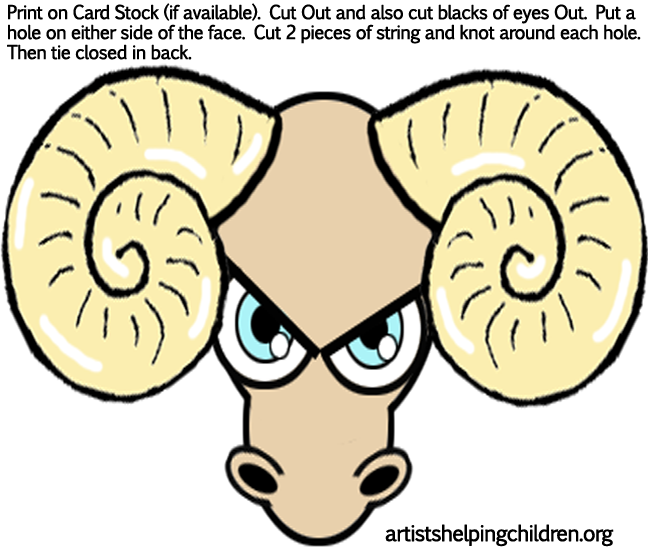 To make these cotton sheep figures, you will need a piece of cotton (2" x 1") or a dental roll of cotton (the type they put in your mouth when you are at the dentist or orthodontist), 1 black pipe cleaner; googly eyes, and scissors. Use cotton for the body of the sheep. Cut pipe cleaner in half for legs. Twist one piece of pipe cleaner around cotton about 1/4" from one end to form head and front feet. Twist second piece of pipe cleaner about 1/4" from opposite end to form back legs (see sketches). If you wish to add detail, you can pinch a bit of cotton at each side of the head to form ears (see sketch d) and roll between fingers a little cotton from body to form a tail. Glue googly eyes on the face. And there you have it....cotton lambs or sheep. To make this lamb, you will need a pencil, white construction paper 3 1/2" x 4 1/2", 1 small spool, paste, enough cotton to cover spool, crayons, scissors, and cardboard 3 1/2" x 41/2". 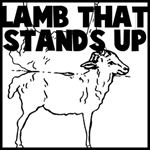 Now, print out the lamb diagram. 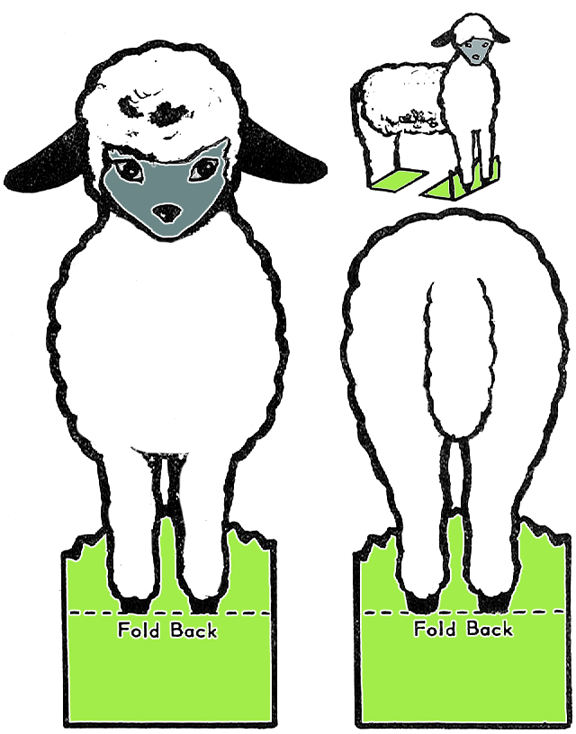 Then, Cut out the front and back of the sheep from the pattern. Mount on cardboard and fold tabs on the dotted lines. Let the child cover the entire spool except the ends with paste and put on some cotton to make lamb woolly. Now, you should paste front and back of lamb to the thread spool so that the front and back tabs are aligned. Place animal on end for a few minutes until paste dries. 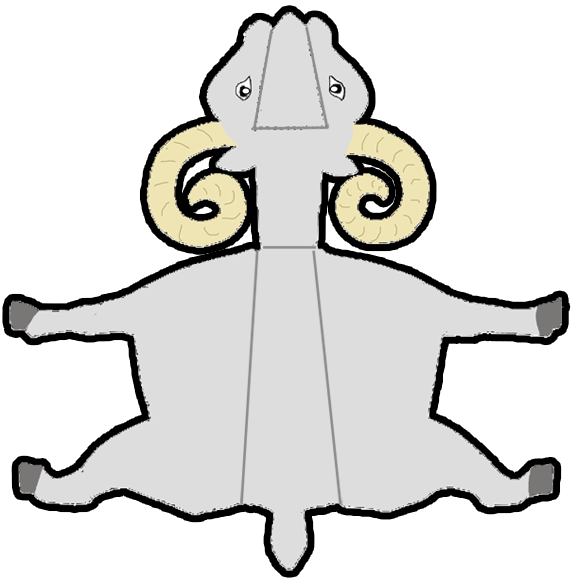 To make the above ram mask, just print out our paper ram mask template and then follow the directions included with the page. 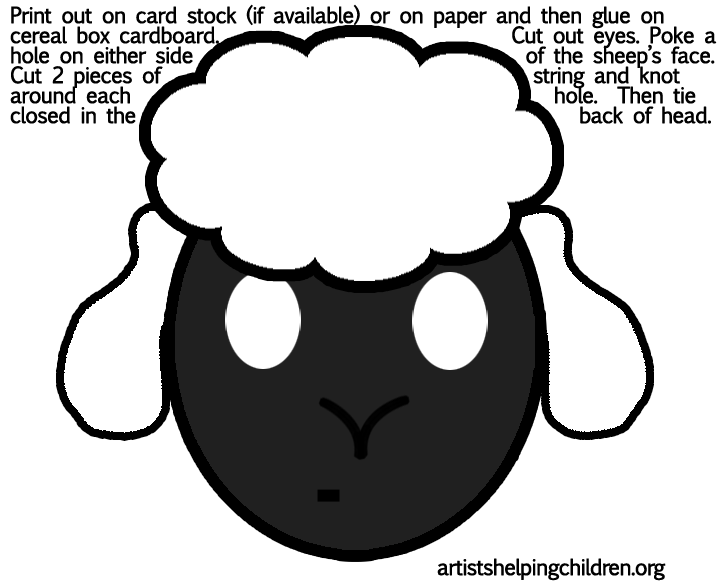 To make the above sheep or lamb paper mask, just print out the following printable sheep mask template and follow the instructions included on the page. 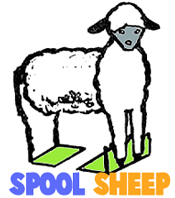 Sheep or Lamb Stand-Up Paper Toy Model to Print Out Craft for Kids - Today, we will show you how to make some stand up paper-figure animals. This one is a standing lambs / sheep paper figure. You can choose a black and white version to color in, or you can choose the one that is already colorized. Either way … have fun. Clothespin Sheep / Lambs - Learn how to make these sheep with some cardboard, yarn, and clothespins. Make Spring Handprints Lambs for Easter or Spring : Preschoolers and Kids Craft - Since I am so in love with little handprints, I enjoy doing crafts where I can capture my children’s handprints once again for posterity reason. This craft, handprint lamb, is a great way to capture a handprint but it also adds a touch of spring to your crafts and gives your child a new way to use his hands. Handprint Lambs for Easter - This is a great Easter Lamb craft for preschoolers. 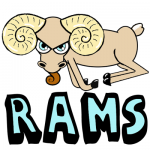 How to Draw Cartoon Rams - Find out how to draw cartoon rams with easy step by step drawing tutorial for kids. 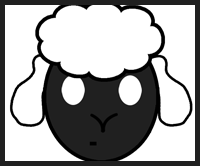 How to Draw Sheep - Children as young as preschoolers can learn how to draw this sheep. 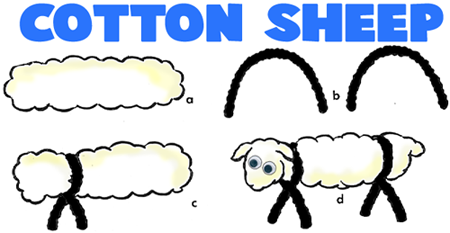 Learn How to Draw Cartoon Baby Lambs - Learn how to draw this cartoon baby lamb stuffed animal.